Thirteen cuneiform clay tablets of ancient Mesopotamia, dating from 1900 to 1700 B.C., are on display until Dec. 17 at the Institute for the Study of the Ancient World, part of New York University. 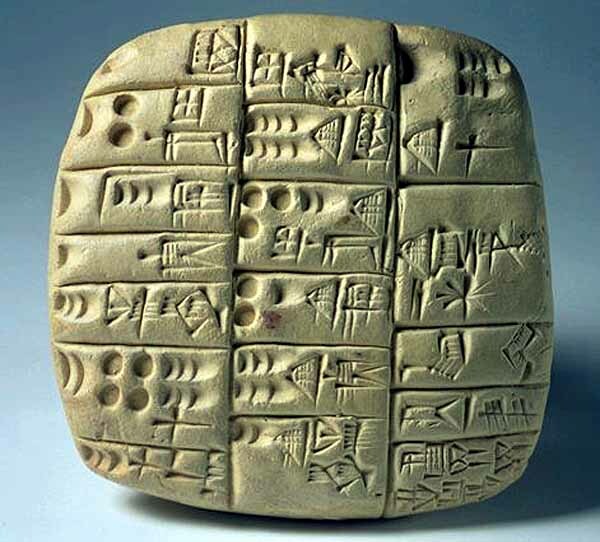 Many are exercises of students learning to be scribes, who were mastering mathematics based on texts in Sumerian, a language that even at the time was long since dead. 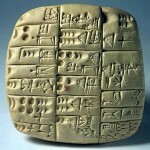 The items are drawn from archaeological collections of Columbia, Yale and the University of Pennsylvania and include two celebrated tablets, known as YBC 7289 and Plimpton 322, that have played central roles in the reconstruction of Babylonian math.